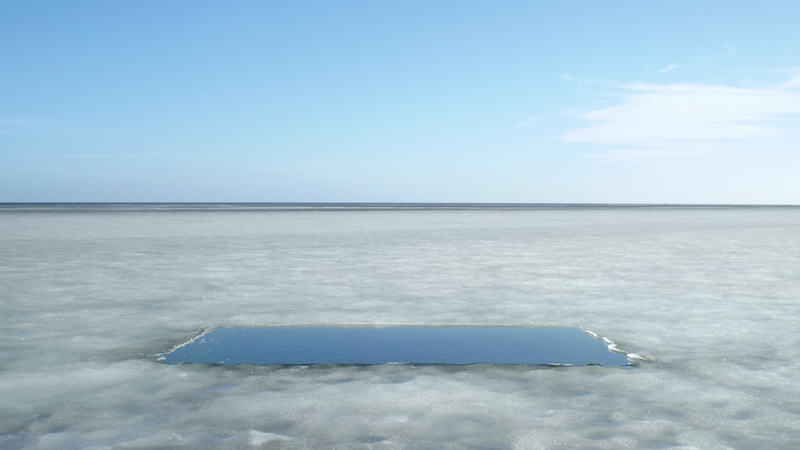 Charcoal was made, powdered, and sifted onto the frozen Curonian Lagoon, during my residency at Nida Art Colony, Lithuania. 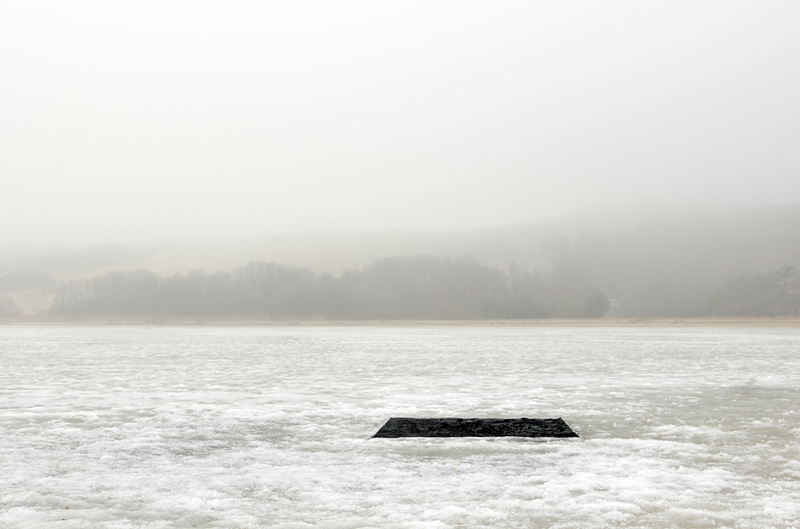 On the install day during misty weather, the velvety-black charcoal sat on top of the undulating ice. By day three the sun caused the charcoal to absorb more sunlight and ice below to melt, followed by a freezing night when it re-froze flat. The charcoal then sank and was suspended in ice about an inch below the surface. 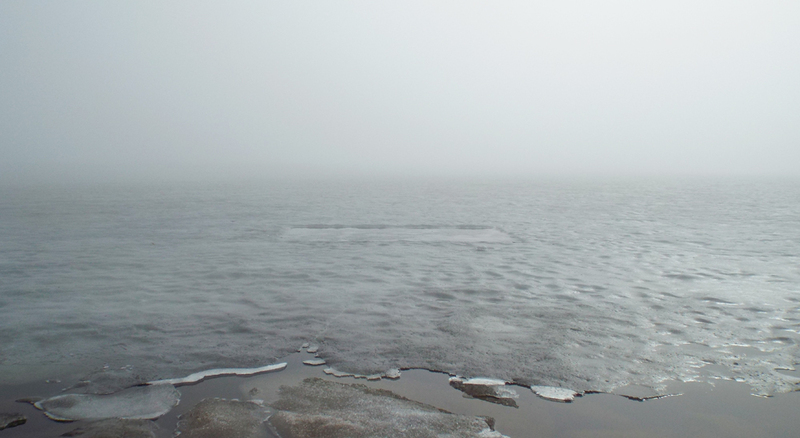 The rectangle soon dropped out leaving a pool of water before all the ice completely melted.